Need some ideas for dinner? Or maybe a yummy treat? Check out these mouthwatering recipes. Easter is only a month away! I can't believe that we are already 2 months into 2013. Please tell me that I'm not the only one still writing 2012 on my checks! Easter has always been one of my favorite holidays. However, I am not very fond of filling up the girls' Easter baskets with sugar filled candy. 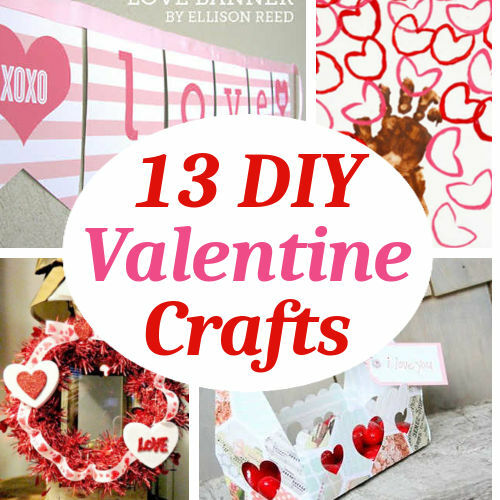 I am working on a couple handmade items for the girls this year and I thought I would share some inspiration that I found. 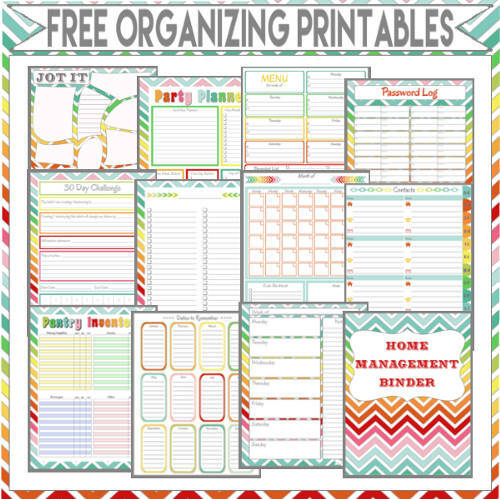 These Printables are part of my Home Management Binder Series. 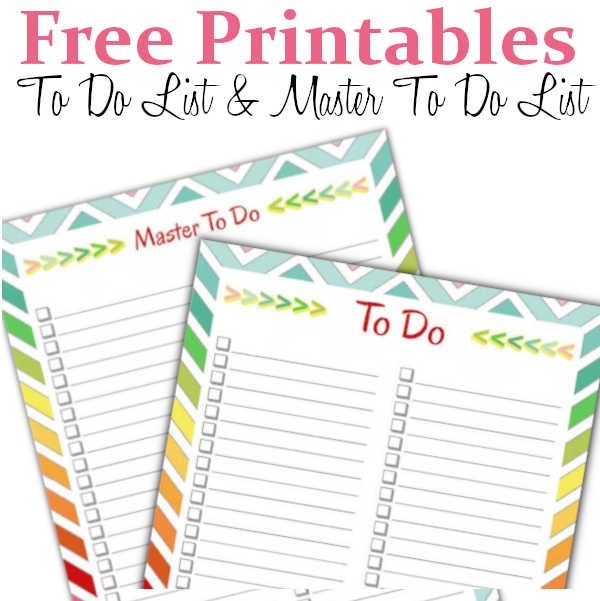 To view the rest of the free printables click HERE. 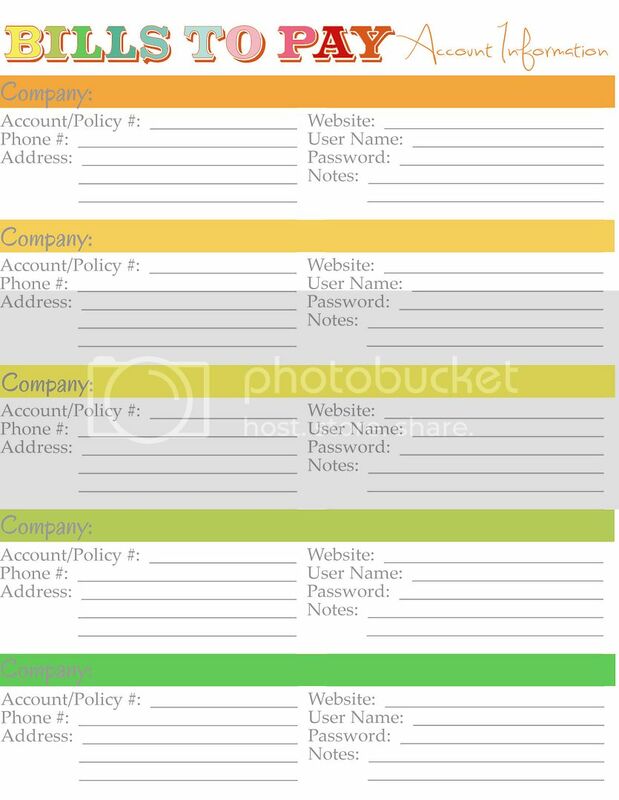 A had a few requests for bank account information. Here is what I came up with. Please be sure to keep this info in a safe place such as a safe deposit box. 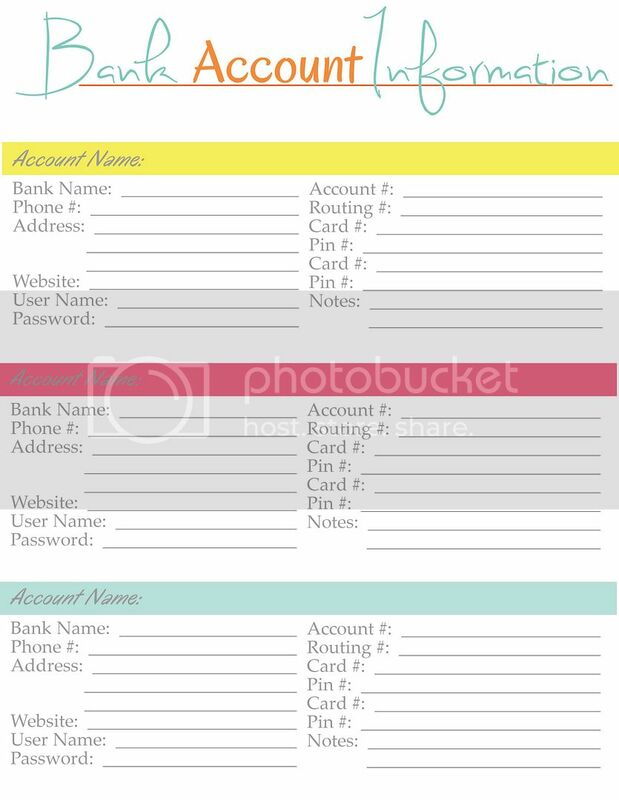 This printable is great for keeping track of your account information for your monthly bills. However, due to the information kept on this page I would highly recommend that you keep it in a safe place such as a locked safe deposit box.